As part of a well-funded, well-organized backlash network, David Horowitz just launched a vicious, racist attack on 10 U.S. University campuses. Specifically, at San Francisco State University, Horowitz wants to undermine a new partnership between SFSU and a Palestinian University. Sign this petition to demand institutional support for this critical partnership. 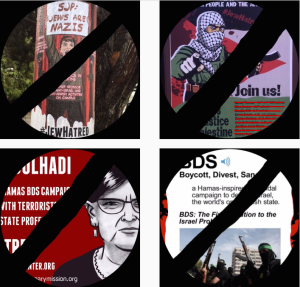 David Horowitz, founder of the David Horowitz Freedom Center and Zionist, reactionary pundit, released the above series of posters at San Francisco State University (SFSU). In collaboration with like-minded students and/or faculty, they were placed across the campus. He released similar posters across ten universities known for their strong activism in support of Palestinian rights. 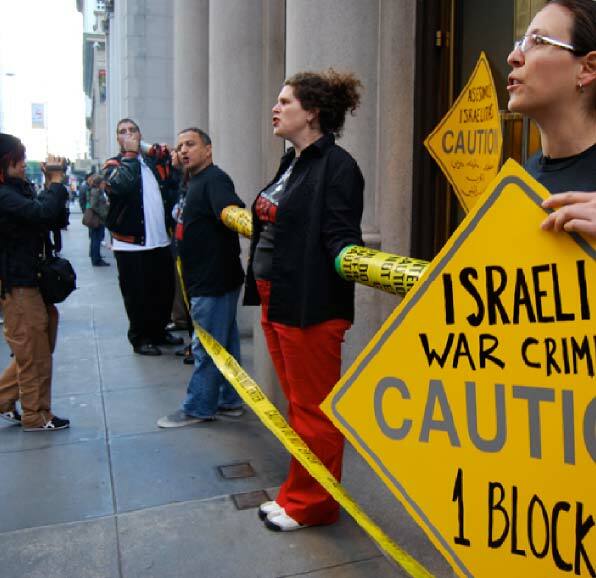 The racial profiling and targeting of individuals is a long-standing tactic of Horowitz, as is the gross misrepresentation of those who stand for Palestinian human rights and against Zionism as anti-semitic. As outlined in IJAN’s report, The Business of Backlash, Horowitz is a significant actor in a reactionary Zionist backlash network that is largely funded by a dozen extraordinarily wealthy donors who fund pro-Israel propaganda, racist attacks on Palestinians and defamation of their allies, and the Islamophobia network. These agendas serve their interests. The David Horowitz Freedom Center is funded by the Koch Brothers, Bradley Foundation, Becker Foundation, Scaife Foundation as well as intermediaries like the Jewish Federation. 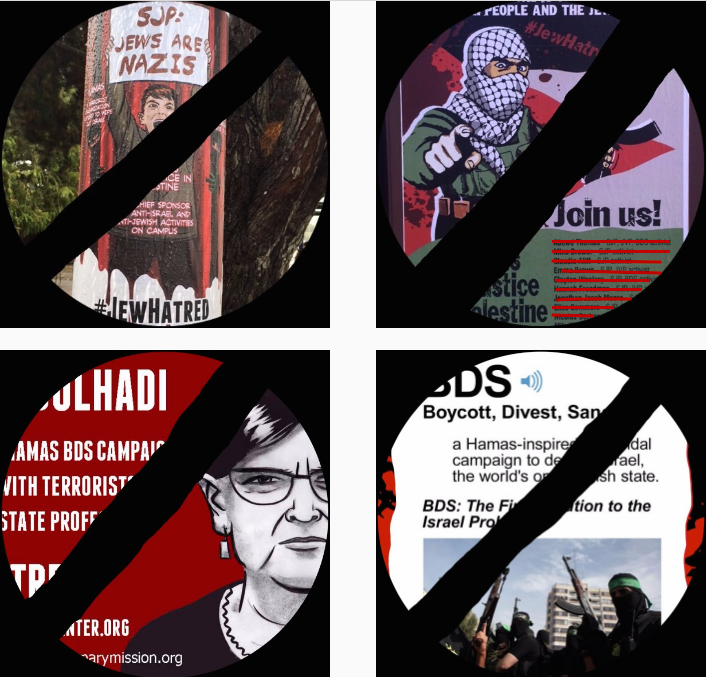 The targets at SFSU include Palestinian Professor Rabab Abdulhadi, Director of Arab and Muslim Ethnicities and Diasporas (AMED) Studies at SFSU, several students and Students for Justice in Palestine (SJP) and the General Union of Palestinian Students (GUPS). Professor Abdulhadi has suffered years of targeting, including earlier this year when she and the SFSU faced accusations of promoting terrorism because of a partnership between SFSU and Al Najah university in Palestine – a partnership that the university initiated and approved through all appropriate channels. GUPS students have faced expulsion and threats of criminal charges for non-violent protests and artistic expression against Israeli colonization. Authored by Palestine Legal and signed by IJAN, the Arab Resource and Organizing Center, the National Lawyers Guild, Asian Law Caucus, American Muslims for Palestine, CAIR California and Jewish Voice for Peace, a letter was sent to SFSU to request that President Wong go beyond denouncing the posters. Find the full text of the letter here and please add your name to this petition supporting the partnership between SFSU and An-Najah University in Palestine, a partnership which is now under attack by David Horowitz and the neo-conservative Middle East Forum. Defend GUPS, AMED, the Arab and Muslim community at SFSU, and individual students and faculty by name, and dispel the racist stereotypes in the Horowitz Posters. Express clear and unambiguous support for the AMED Studies program by publicly and specifically affirming commitment to the MOU with An-Najah National University in Palestine. Reaffirm the important difference between criticism of Israeli policies and antisemitism, and endeavor to educate the campus community on the distinction. Join administrators and faculty members in condemning Canary Mission. Recently, over 1,000 faculty across the country signed onto a statement condemning Canary Mission’s fearmongering, and insisting that the website ‘should not be trusted as a resource to evaluate students’ qualifications for admission.